Those are just screen grabs right? They can't possibly high-res. They are screen grabs, upsampled to high res without filtering so they are deliberately pixelated in the case of retrogames. 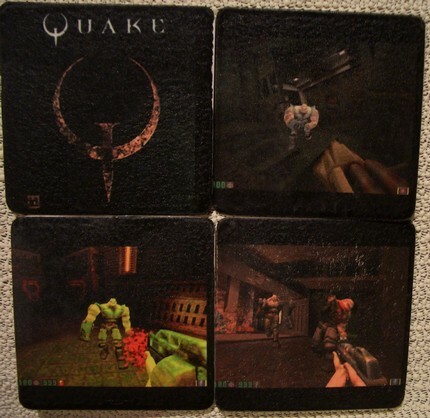 In the case of Quake, they are screengrabs from GLQuake, so higher res that 320x200.